Pallet trucks use industrial pallet, plastic pallet, wood pallet, lift capacity of 5 tons, help you move goods faster. Quality hand trucks, industrial lifting. Lifts use industrial pallets, pallets, wood pallets, pallets for sale, with a lifting capacity of 5 tons, helping you move goods more quickly. Unique design securely holds wheels in place. 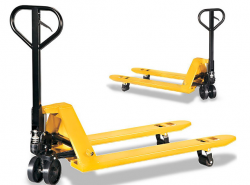 Anchor pallet trucks during transit on trucks. Non-slip synthetic rubber works on all surfaces. Trucking companies and freight carriers should all use. -Dependable pallet trucks at an affordable price. 7" polyurethane wheels. 210° steering arc. -Hand Brake – Stops loads safely without straining your back. Plus, better control on downslopes. -Narrow - Fits into narrow pallets. 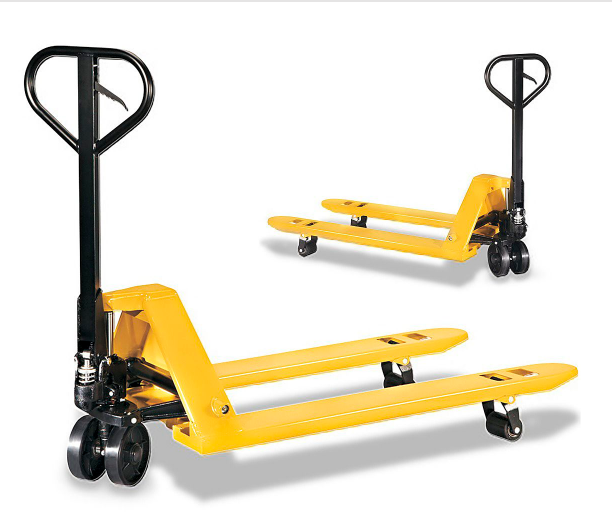 -Short - Handles shorter specialty pallets with ease. -Long - Reaches under longer specialty pallets. 2" high. 2" lowered and 5.6" raised height.